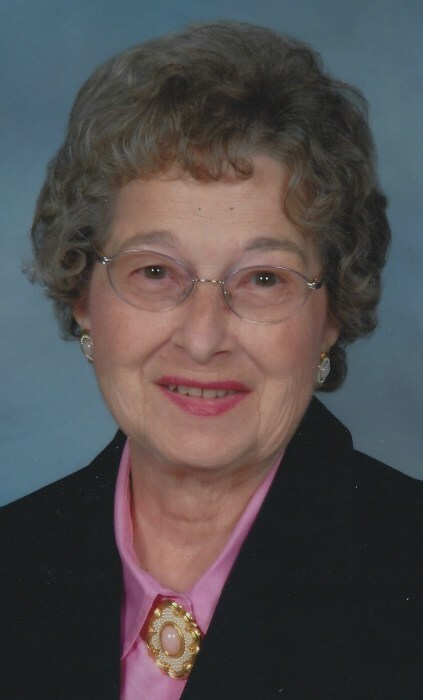 Nancy Lou O’Connor (nee Woodyard), 94, passed away on Tuesday, March 26, 2019 at Ames Family Hospice in Westlake, OH. She was born in Grafton, WV on October 31, 1924. Nancy graduated from Grafton High School, Class of 1942. She married her husband Richard O’Connor on November 27, 1947. Nancy was a homemaker and worked at the Grafton Courthouse in West Virginia for 10 years. She was a parishioner of St. Teresa of Avila in Sheffield Village , OH. Nancy enjoyed gardening, canning, and the outdoors. She is survived by her sons, Timothy P. (Rebecca) and Terence R. (Earlene) O’Connor; grandson, Patrick J.; siblings, David Woodyard, Ruth Elaine Lehr, Donna Isner, Janice Stemple, Carol Stockett, and Suzy Mitchell; and many nieces and nephews. She was preceded in death by her loving husband of 65 years, Richard “Chick” O’Connor; parents, Clair and Lula (nee Phillips) Woodyard; brother, James Woodyard; and sister, Jane Stephenson. Funeral services are private. Christian burial services will be held at a later date at Mount Calvary Cemetery in Grafton, WV. Memorial donations may be made in Nancy's memory to Ames Family Hospice House, 30080 Hospice Way, Westlake, OH 44145. Arrangements by Reidy-Scanlan-Giovannazzo Funeral Home, Lorain, OH. Online condolences may be sent using www.rsgfuneralhome.com.